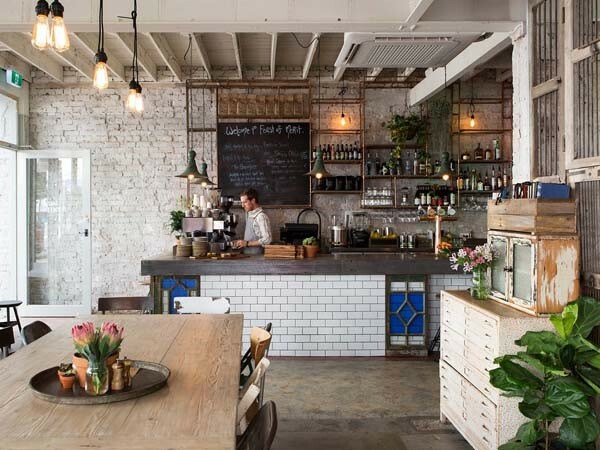 Feast of Merit, a restaurant located in Richmond, Melbourne has been completely transformed using mineral paints from Bauwerk Colour. Designed by Elle Critchley Design, the restaurant features Bauwerk paints that do not require any sealer or undercoat prior to application. These paints can quickly transform brick and wood, from one coat rubbed back to three coats for a more opaque look. The whites in Bauwerk paints are made from a mix of clay, lime and pigments, rendering a flat chalky appearance that refracts light beautifully. Bauwerk paints are also great for the environment.